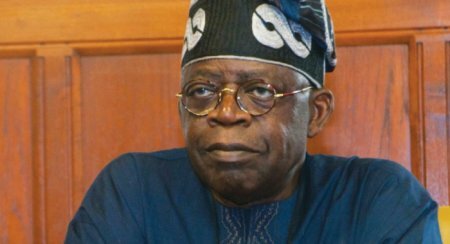 Tinubu made the declaration during a mega rally at the ancient Mapo Hall, while receiving former Gov. Adebayo Alao-Akala, former Senate Leader, Teslim Folarin and hosts of others into the APC. Among the defectors are Sen. Brimoh Yusuf, Chief Ayodele Adigun, Hon. Asimiyu Alarape, Hon. Dokun Odebunmi, Hon Ademola Ojo, Chief (Mrs) Olanrewaju Otiti, Mr Rauf Olaniyan and Funke Adesiyan. The News Agency of Nigeria reports that the APC National Leader was joined by Governor Abiola Ajimobi, Governor Rauf Aregbesola, Governor Rotimi Akeredolu, to receive the defectors. NAN also reports that the event coincided with the 68th birthday of Ajimobi. “Today is very important because of the governor’s birthday. I really thank God for my friend, Alao-Akala and others for joining the APC. “I also thank God for Folarin and Amb. Taofeek Arapaja too. This APC house is great for all of us. I am confident that today’s massive defection into the APC has finished opposition parties in Oyo State. “We are happy to have you in and we are proud of our party,’’ he said. The former Lagos State governor said that the APC was the only progressive party in Nigeria and Africa, urging the people to vote APC in the 2019 election. Ajimobi said that Alao-Akala and other defectors were the few good, intelligent and weighty people in the opposition parties across the state. “The defection of Alao-Akala and others to the APC is a clear pointer that opposition parties in the state were finished,’’ he said. Aregbesola and Akeredolu appreciated the massive turnout at the rally, saying they are proud of Ibadan and its people for embracing the APC massively.